"An understanding of the relationship between the product and the process in election polling is often lost. This edited volume unites ideas and researchers, with quality playing the central role." —J. Michael Brick, PhD, Director of the Survey Methods Unit, Westat, Inc. Elections and Exit Polling is a truly unique examination of the specialized surveys that are currently used to track and collect data on elections and voter preferences. Employing modern research from the past decade and a series of interviews with famed American pollster Warren Mitofsky (1934-2006), this volume provides a relevant and groundbreaking look at the key statistical techniques and survey methods for measuring voter preferences worldwide. 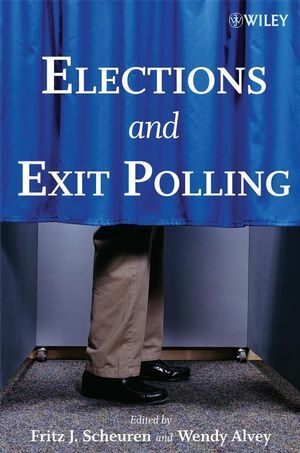 Drawing on the most current studies on pre-election and exit polling, this book outlines improvements that have developed in recent years and the results of their implementation. Coverage begins with an introduction to exit polling and a basic overview of its history, structure, limitations, and applications. Subsequent chapters focus on the use of exit polling in the United States election cycles from 2000–2006 and the problems that were encountered by both pollsters and the everyday voter, such as how to validate official vote count, confidentiality, new voting methods, and continuing data quality concerns. The text goes on to explore the presence of these issues in international politics, with examples and case studies of elections from Europe, Asia, and the Middle East. Finally, looking to the upcoming 2008 U.S. presidential election, the discussion concludes with predictions and recommendations on how to gather more accurate and timely polling data. Research papers from over fifty eminent practitioners in the fields of political science and survey methods are presented alongside excerpts from the editors' own interviews with Mitofsky. The editors also incorporate their own reflections throughout and conclude each chapter with a Summary Observations section that highlights notable concepts and trends. The appendix features sample questionnaires from actual exit polling scenarios and an extensive bibliography directs the reader to additional references for further study. Combining wisdom from one of the most notable names in the field along with findings from modern research and insightful recommendations for future practices, Elections and Exit Polling is an excellent supplement for political science and survey research courses at the upper-undergraduate and graduate levels. It is also a one-of-a-kind reference for pollsters, survey researchers, statisticians, and anyone with a general interest in the methods behind global elections and exit polling. Fritz J. Scheuren, PhD, is Vice President for Statistics at the National Opinion Research Center (NORC) at the University of Chicago. Dr. Scheuren was the 100th President of the American Statistical Association (ASA) and has a distinguished career in academia and consulting that spans over three decades. He has published over 250 journal articles on sampling of operating records, survey design, process quality, auditing, and missing data. Wendy Alvey has over thirty-five years of experience as a senior statistician and policy analyst for several corporate and government entities. Throughout her career, she has conducted extensive research on the statistical uses of administrative records in U.S. Census development, and helped pioneer census policies that protect respondent confidentiality. 1. Introduction (Fritz Scheuren and Wendy Alvey). 1.4. A Day in the Life of An Exit Poll. 1.8. Recommendations and a Few Predictions. 2. The Infamous 2000 Election. 3.2. The Great Election Debate. 3.3. Confidentiality-Another Side of the Controversy. 4.3. Referenda on the Ballot. 5.2. A Historical Look at Exit Polls From a Mexican Perspective. 5.3. Muslim Opinions on Political Reform. 5.4. A Mexican Case Study. 5.5. Pre-Election Polling in Nagano, Japan. 5.6. Swedish Public Opinion Polls. 5.7. Election Polling In Canada. 6. Looking Ahead: Recommendations for 2008 and Beyond. 6.2. Recommendations for the Future. 6.4. Guidelines for Quality Polling. 7.2. 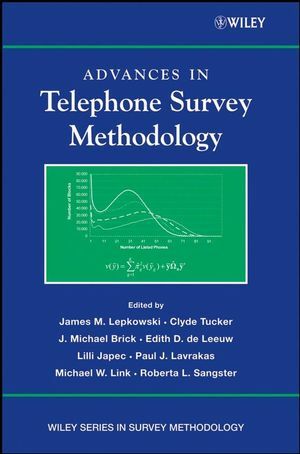 Statistical Methods for Papers in This Volume.